Blog posts. Social posts. Email series. Landing pages. Newsletters. Webinars. Event flyers. And more. There is a plethora of things to write, so you better get good at it. They say by reading more you become a better writer. True. Different authors, styles, and topics can influence your own style, or the style and language you need to appeal to your specific audience. Like riding a bike or playing an instrument, you will learn best by doing. 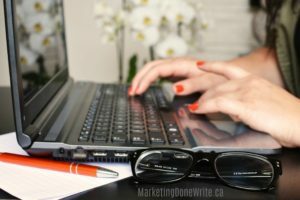 Today I am sharing some tools I use every day to help with my content marketing writing process. And, writing IS a process. Write first – Don’t edit along the way. Get the idea out of your head before you forget it. If you stop to edit, you’ll lose your brilliant idea. Edit your work – Choose simpler words. Create shorter sentences. Is there a better way to say something? How does it sound out loud? Keep the process in mind as I go through these content writing tools. 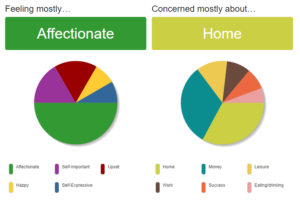 750 Words is a sort of journaling site. It’s based on the concept of “Morning Pages” which is 3 pages handwritten as a creativity-boosting exercise. That seemed a bit painful and time consuming to me, until my friend introduced me to 750Words.com. After creating an account, you write a minimum of 750 words each day. It’s best if you can do it first thing in the day. Although, I have been known to do in the afternoon, or even do half in the morning and the rest later. But the 750 all gets done in one day. It’s a great tool to help you create a good writing habit without having to polish it up or worry about mistakes. Remember what I just mentioned about the writing process? That you should just get the words out of your head first without worrying about editing? This is the perfect site to do that. When you’re done writing your creative content, just copy and paste from 750 into a Word document or other word processor, then edit and polish it up. Your thoughts remain private in your account, so you can write about anything you want. I usually don’t think about what I’m writing. I just jabber along jotting down thoughts of what I did yesterday or what I plan or hope to accomplish that day. That could be making sales calls, harvesting something from the garden, or remembering to buy cat food. It doesn’t matter what you write. Just write. Every day. Here are some uses I have for 750 that you could incorporate, too. Write actual content for emails or blog posts, or speeches, or whatever. Rants – I don’t have too many other than the neighbour with the barking dogs. Arrgh! Goals – what do you want to accomplish and ideas on how to get there. Sometimes, I challenge myself to write as fast as I can about anything, just to exercise my brain in a different way. Sometimes it’s very business specific. Sometimes I just write about my garden and cats. It’s not a very sophisticated site, but it is fun in many ways. Digital Badges for Streaks – keep you accountable and driven to write. You get badges for reaching certain milestones – for example, 3, 5, 10 or 30-day streaks. I’m currently focused on reaching 100 days in a row. Digital Badges for Behaviour – rewards for writing fast, writing without distractions, writing at certain times of the day. They just push you a bit to reinforce your writing habit. I love the challenge to write every day. And I don’t have to stress about what I am writing, I just have to write. It creates good ideas and often frees my mind to be creative or even more efficient. It really helps me formulate ideas or express feelings. I urge you to give it a try. You can join for free, but eventually you have to sign up as a patron. I think I pay $5 per month. There are other sites out there, but I am having fun with this one. 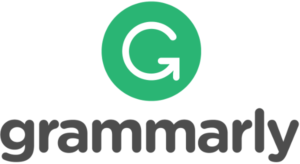 Grammarly is an excellent app to help you deliver clean online content. I’m very impressed with the errors it picks up. It scans your online text and when it sees a spelling, grammar, or punctuation error it highlights and provides recommendations for a fix. You accept or ignore the suggestion. It is perfect for checking content on your WordPress website or other online web platforms, Gmail, Facebook and other social media posts, or any online content. I know I use more commas than is expected in the modern form of writing, but sometimes Grammarly tells me to take them out but I know they should stay. So, just like Costco, where you need to know your prices to be sure you are buying a bargain, you need to know a bit about grammar to be able to vet any Grammarly changes. It also uses American language like ‘harbor’ vs Canadian spelling ‘harbour’ so I just ignore the edit suggestions. I haven’t found a setting for language in my browser extension yet. Desktop version for Windows and Mac – where you can drag documents into the app to review. Microsoft Office add in, so you could essentially use it for Outlook and Word, etc. Caution – when I tried to install it with Office there was some kind of warning that said the spelling and grammar feature in MS Word would no longer work. So, I turned it off, and just use it for online writing. I highly recommend it to keep your content and posts looking professional. And it’s free. There is a paid version, but for you and me, free is just fine. I have tried several different thesaurus tools to find just the right words for my content. But, many just fell flat. It not only gives you specific synonyms but other suggestions that are either closely or broadly related. seek words that can provide a different perspective. EXAMPLE: I was looking up the word STOCK, as in soup stock. Other meanings – inventory, the stock of a gun, breeding stock, etc. By seeing the other synonym options, I might not end up writing about soup stock at all. It gives me ideas to be more creative with my posts. What is also interesting about this site is that the word choices are rated by writers who support the site. Sort of like a Wikipedia-style, where contributors try to make it better. I have been using the website, but as I researched this content, I discovered a browser extension and am now playing with that. I love it. Just like Grammarly where you can tweak your content online, you can punch up your language with Power Thesaurus. If you are going to use Content Marketing as a strategy, you have to embrace the art and science of writing. Try out these content writing tools to help you create good writing habits and professional looking content. PS – if you would like a second set of eyes on your content marketing assets, and receive expert advice on how to improve, ask about a Content Marketing Checkup. so you can attract more ideal clients.